Lessons from the field and for the field. It’s time to shape up folks. It’s time to change to be better. It’s time to take some heartfelt advice from someone who has had a handful of sightings and a handful of experiences. But they weren’t every time out nor every area I went to. That takes time, logistics, analysis and a lot of luck. But what I have seen trending over the last several years, much in part to social media, is the rise of some sycophants who are so starved for attention they find Bigfoot at every turn and play to an uneducated, drive by audience. Then there is the ones who try so hard, that they find evidence at every turn. I understand the bias towards ones own evidence, but if someone shows you the light, or gives you constructive criticism, take it!!! Not personally. The audience that reads this blog, is educated, because they took time to come here, visit the site, read through the archives, Hall of Shame and of course Squatchdetective University. The people that read this are more than just your average enthusiast, they seek more. Of course many researchers read my blog and site as well. Over the years I have made some missteps. Admitted such and learned from them and moved on. I have found evidence and some landed in my lap which have become neat discoveries which have fueled the debate of the existence of the creatures. But..my mission was always to tell everybody the good, the bad and the ugly. I have tried to stay clear of many rivalries that exist today in this pseudo-scientific field. Because lets not kid ourselves, we’re not scientists. There are some in the field, but very few and far between. I was told the other day, I am known for busting hoaxes. I actually was offended by this at first thinking it was a slam. But what I should be known for is telling it like it is. See the reason why I am known for is busting hoaxes, is because usually I handle misidentifications quietly. There is no need for embarrassment of the individual for they have done nothing wrong. So in effect for every hoax I have thrown out to the public there have been a number of those which have been categorized as misidentifications and a few that don’t live up to me posting them, but I just couldn’t tell you honestly what I think because I am not sure. I have been quiet because the field team is nursing family members who are in ill health, working on education and I myself am nursing a sprained ankle. But we are on the move this month.. so look forward to seeing some reports, even if it is nothing important, we’ll keep you updated. You see for a long time I have sat by quietly and not commented. Well that time has ended. But let me predicate this with my background, I have been an investigator practically all my adult life. I have have worked numerous years in retail loss prevention and investigation, and as a Private Investigator in the criminal, civil and insurance industries. In 2008 everyone was looking for a condemnation without evidence, and I stood up for my principles then, and took tremendous heat for it, but in the end when I did manage to get that evidence, everything was set back to normal. And I stand for my principles now. But as an investigator, rushes to judgment always spell a person’s demise. Whereas a slow and methodical approach, you tend to get it right more often than naught. So what do you think will happen when someone’s excitement to get the story first overtakes investigative common sense? Well what happens is you may rush to the scene, lose all objectivity and find all sorts of “evidence.” Then the person comes out and states its all a hoax. See, people don’t listen. People who follow me know the first rule of my evidentiary evidence procedure. When you forget that and let passion, ambition or whatever else motivates you, other than the truth, then you set yourself up consistently for failure. I will not specifically mention the folks or the group behind this blunder by name. Enough people know it already, but this needs to be pointed out to folks sometimes even when you take you time in an investigation you make mistakes, but when you rush… it can be catastrophic. So if you don’t start off by a detailed interview of the person behind the film, especially when they are as communicative as the hoaxer of this film, it’s a big misstep. If you decide to base your investigation on the bias it is real, without speaking personally to the witness you’re doomed from the onset. Even more embarrassing is when you make a post that you have found evidence and even more so when you proclaim something is authentic when obviously you haven’t completed the all crucial important first step. This should show that finding something is “alleged evidence” until it can be processed, such as a hair as they had claimed they had gotten. 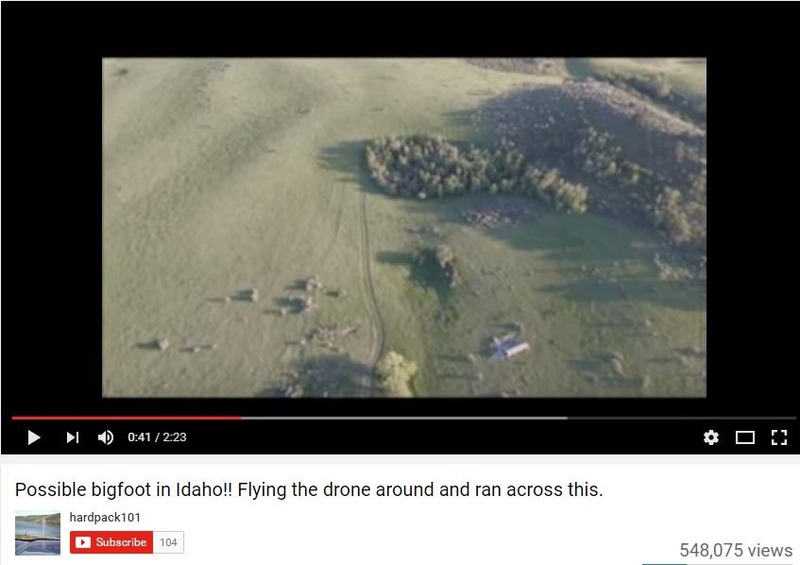 Part of claims made on a website about the Drone Video. Facebook response in regards to the Drone Video by the director of the organization. Later it was claimed by the group or the director of the group that their was evidence planted. And that the hoax was called because he did not want the researchers wasting any more money in analysis or research of the area. So now a little back pedaling, which at this point is understandable however the addition of the term “planted evidence,” has now been dropped on us. Well it is embarrassing enough to admit that perhaps you had been fooled by “planted” evidence. But perhaps you did this to quell the notion that you had been a little over enthusiastic and took normal things in the outdoors and turned them into Bigfoot “evidence” in your mind. Or how some have suggested that perhaps there was no evidence at all. That the director had made statements to this effect to generate buzz for his group and website. One person stated they corresponded with “Hardpack101” and stated that he did not plant any evidence whatsoever. We here at Squatchdetective.com corresponded with him as well and received a similar response. He could have said “F*** it and let the tests go on. Then the hoax would have gone on for weeks. So it was just luck that the perpetrator had some semblance of a conscience. Imagine if the hoax had been perpetrated by someone similar to Rick Dyer’s personality? Their involvement DID bring it to a close, so kudos for getting involved and quickly, BUT not just the reasons why they stated. Again they do not at all mention or explain, why they at first thought this was REAL. There had been no presentation of any sort of evidence for the public to see. And to place it there now would be after the fact. Mind you we are not being harsh and the persons involved should not look at this as anything negative towards them, just trying to teach lessons here. HAVE PATIENCE… being first doesn’t always mean being right, and in this business you need to be right. Don’t pass judgment on alleged evidence until the T’s are crossed and I’s are dotted. Again…patience!!! If you say you have evidence…SHOW IT. Seeing is believing. If you mess up, admit it, especially before patting yourself on the back for getting involved in the first place. 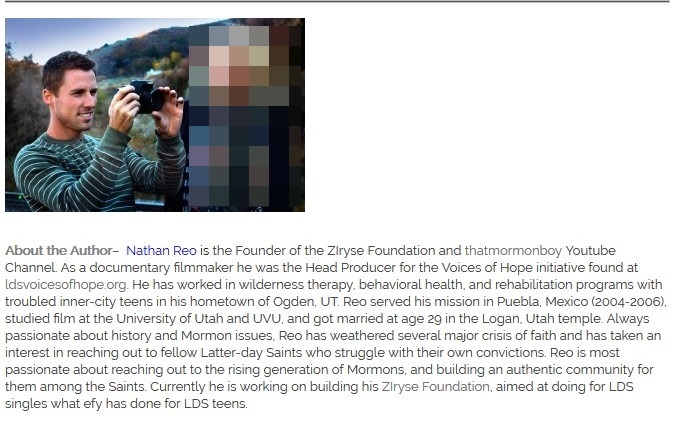 Lesson 2: Will the real Nathan Reo stand up??? 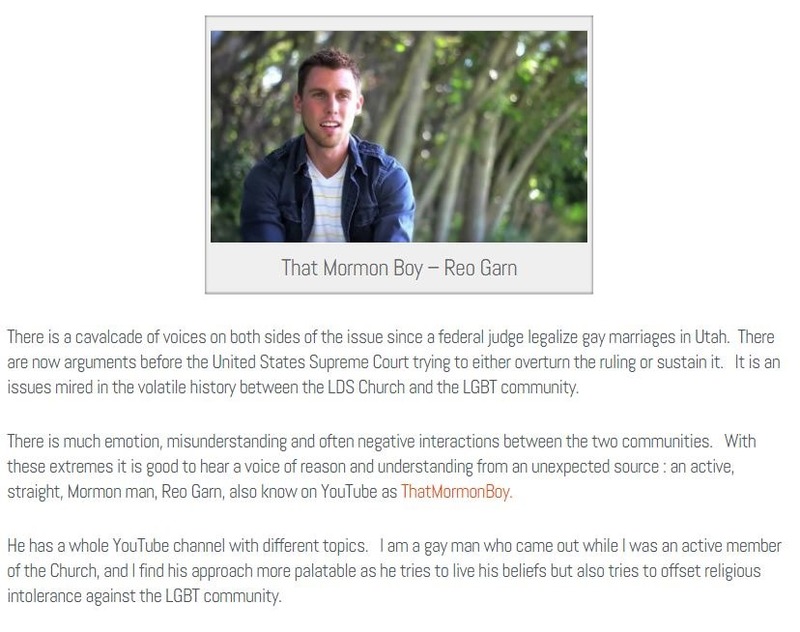 Well we again have another ringer to claim he is a Sasquatch researcher, Nathan Garn (aka Nathan Reo). He claimed to know so much after asking a few researchers advice on methods etc. But after putting a video out there with known Bigfoot audio, claiming originally it was his until caught, seems to have taken his marbles and is on the run. 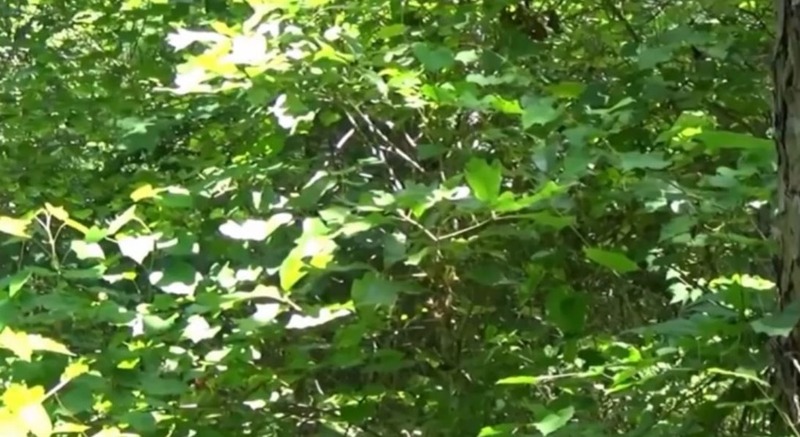 The guy adds vocalizations to his video, claiming them to be real… that is until he gets caught….ugh. Yep and guess what? He’s an aspiring filmmaker. Kinda like that Harpack101 guy above with his drone video and that Canadian guy too… what’s his name? Oh yeah, Todd Standing. 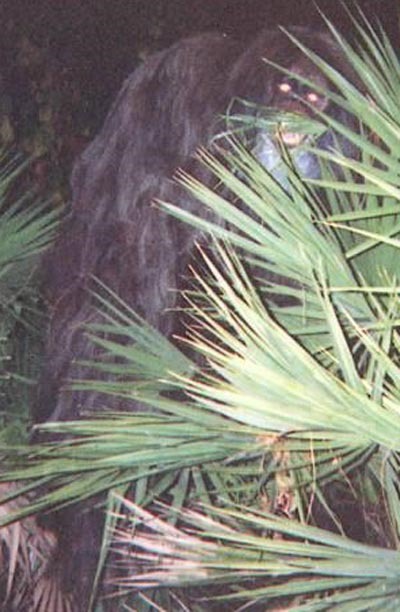 I frankly grow tired of the guys who rush in and just seem to get evidence at every turn, every time and every where… people like the guy who sees cloaked bigfoots everywhere, the guy from Ontario and that guy with the kid shaking the tree in Ohio. They’re all about the YouTube ratings folks. Lesson 4: Habituation is why it is wrong. To accustom (a person, the mind, etc. ), as to a particular situation. Those who use the term a lot of times mean habitation. 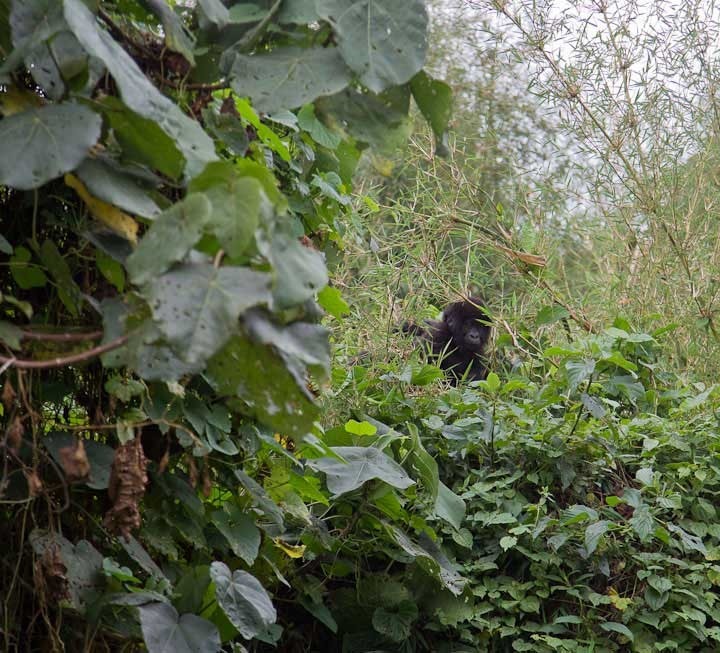 Sasquatches DO NOT live where you live….WRONG. Their number one survival skill is avoidance of humans. Hence why we have such a hard time proving they exist. a place of residence; dwelling; abode. the act of inhabiting; occupancy by inhabitants. They’re only visiting at best and the property, again at best, may be a Foci of Activity area. A “foci area” is a part of the primate living and behavior model. If they were habitating a particular area, it wouldn’t necessarily be all that pleasant. Unless they are knocking on the door asking you for garlic, they’re not accustoming to anyone. Neither are they coming to you in your dreams, except as a figure of a very over active imagination, mind_speaking to you, being picked up by a flying saucer to be dropped of at Nibiru, home of the Nephlim, nor are they jumping through a portal nor cloaked either. If you leave food on a stump guess what may take??? Raccoons, badgers, ground hogs, squirrels, woodchucks, fishers, coyotes, bears, wolves, bobcats, lynxes, mountain lions, deer, elk, moose, rabbits, porcupines, stray dogs and cats, mice, prairie dogs, wolverines, weasels, and whatever else runs around your neck of the woods at night. YOU LEFT IT ON A STUMP OR A LOG. Of course it must have been Sasquatch. And why is there never a trail cam picture of this??? Oh conveniently they avoid the trail cameras. I call BS. Psychological needs for the need to belong or feel special. Psychological needs because you have been traumatized by an actual sighting. Possibly hit by infrasound during an actual encounter, provided that a Sasquatch uses infrasound. Finally, you have had some other phenomena other that a legitimate Sasquatch encounter, it just manifests that way to you. As I was saying last night on Squatchdetective Radio, Social Media has all but made the Forum boards obsolete. Years ago when I first started in this adventure, we all communicated in groups via Yahoo Groups, which was basically an email list. That’s how much discussion was dealt with. The came the Forums which made those initial Yahoo groups obsolete. Finally we have the Social Media platforms today. Much more powerful than the forums which became obsolete by these venues. The only problem was policing the trolls and the drive-bys. People who had no education on the subject could just interdict an opinion and mob-rule begins. It has happened before on forums, but usually was quashed. Now the problem is prolific. The lack of objectivity on both sides of the coin are apparent. Not because they just don’t agree with me, but rather have no rational backup for their stories. 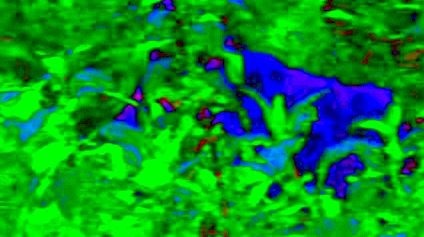 I remember being told by people whom were very scientific, that the Vermont trail cam picture is an owl, despite having a scientist evaluate it and using scientific law it is not something flying in front of the camera and is on the ground. What was the basis of their statement? Their opinion. So much for scientific right? So I see a hypocrisy. I really do. Not that it not being an owl, proves it’s a Sasquatch. Far from it, and although I have an opinion about it, I can’t prove it because there was only one dang picture. But common sense gave it enough argument to post. More recently is the Dodson Video cap. 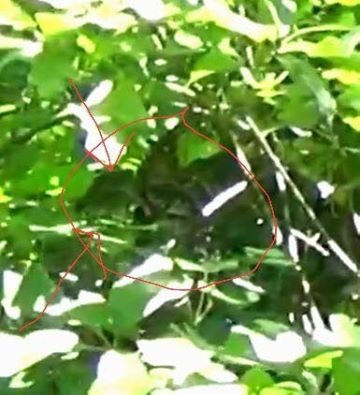 What folks don’t know is after doing this for 18 years I have developed a method for determining whether the “Blobsquatch”, or other anomaly is foliage or not. 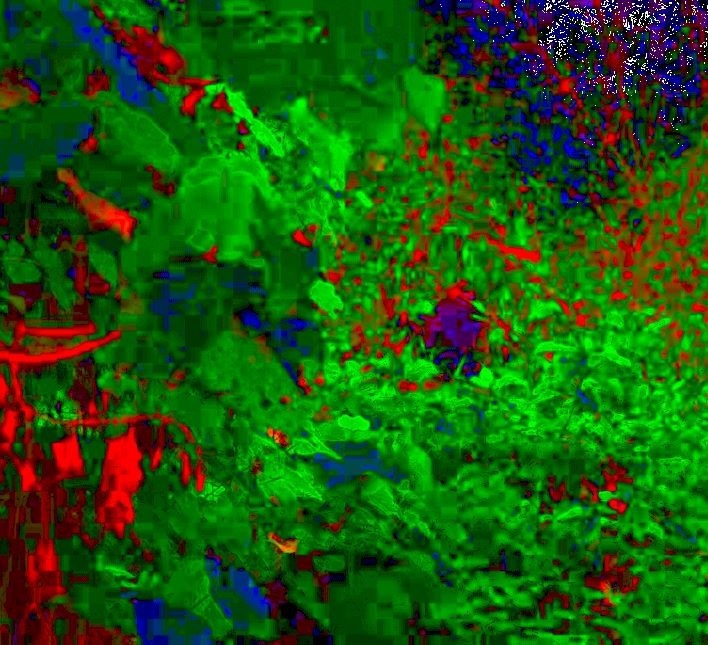 By changing the some values I create a composite of the picture creating a picture that consist of black, white and shades of the primary colors. As well as using an ELA test to determine if their was any photo manipulation. So here we have the original video cap which has been shared all over the “social network” recently by someone who believes in opinion over fact, after all why believe in the truth, just believe what you want right?. 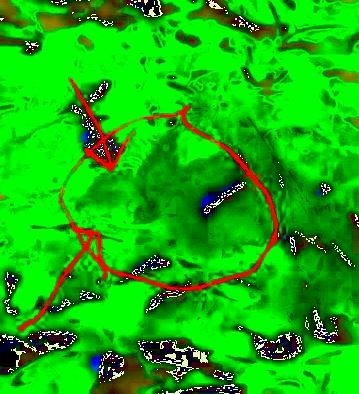 First we need to determine, since the picture was distributed with the infamous red circle if the picture was manipulated or not. We do this via the ELA (Error Level Analysis) test, to see the photo has been manipulated. What is Error Level Analysis? Similar edges should have similar brightness in the ELA result. All high-contrast edges should look similar to each other, and all low-contrast edges should look similar. 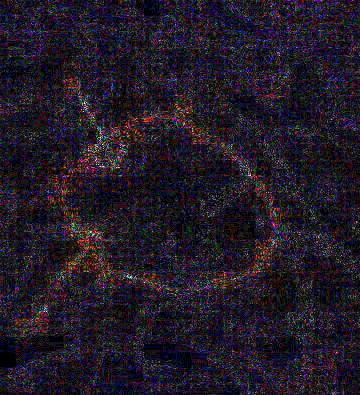 With an original photo, low-contrast edges should be almost as bright as high-contrast edges. Similar textures should have similar coloring under ELA. Areas with more surface detail, such as a close-up of a basketball, will likely have a higher ELA result than a smooth surface. 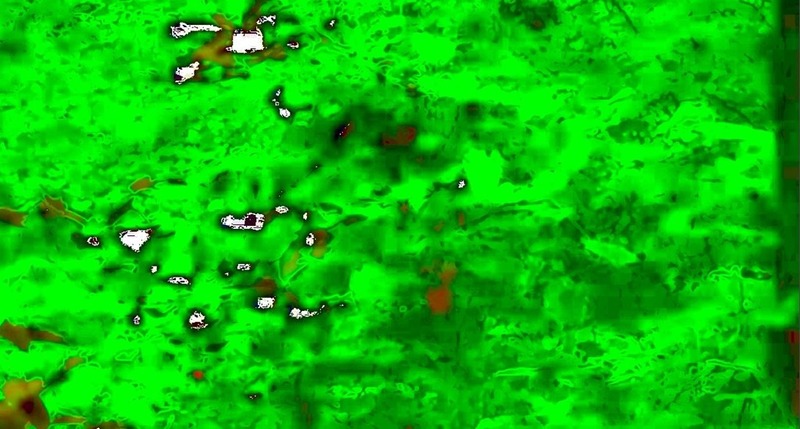 Regardless of the actual color of the surface, all flat surfaces should have about the same coloring under ELA. If you observe the photo with its ELA test which clearly shows the added red circle and arrows. So… not a photo manipulation. 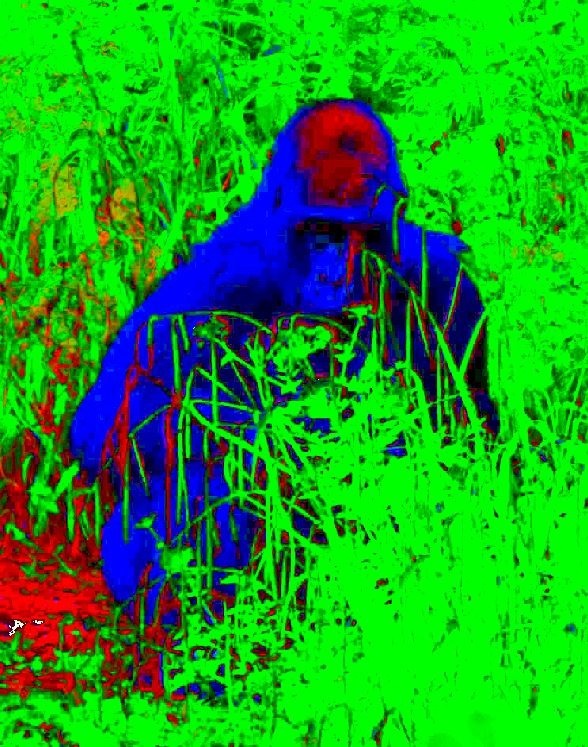 BUT… If you notice the “Bigfoot Face” appears green. 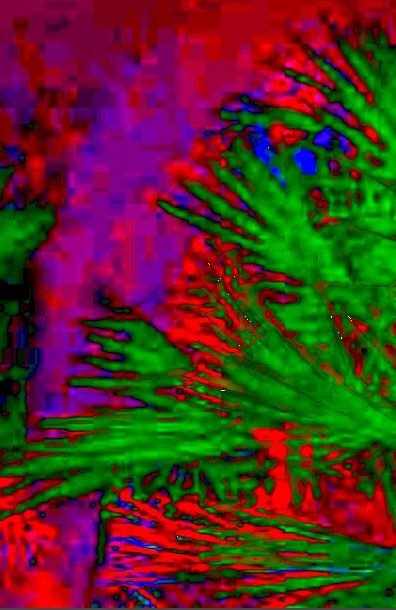 Well lets look at some examples of my methods to determine whether we are looking at foliage or not. 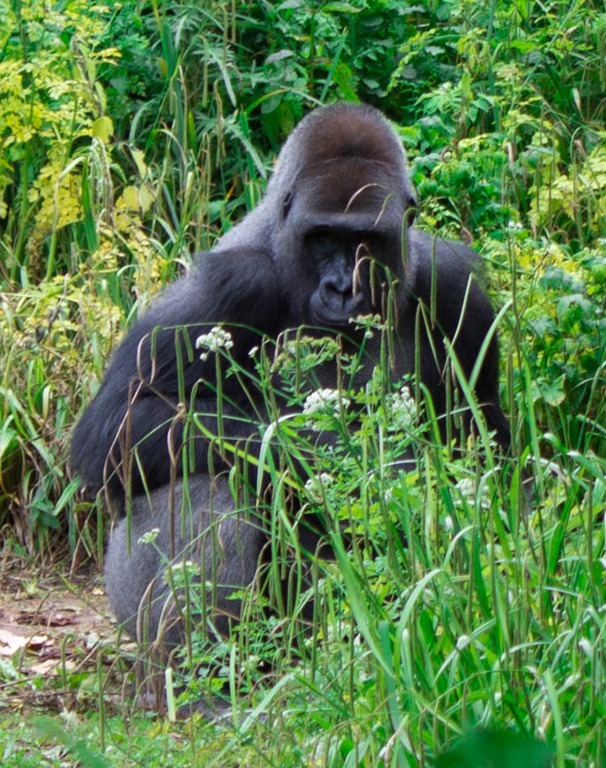 Example 2: Gorilla behind some foliage. 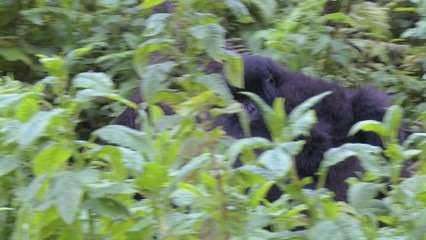 Example 3: Gorilla in the foliage from a distance. Ladies and gentlemen, unless Bigfoot is green; we have foliage. I was totally blown away, because now people are substantiating that a photo shopped photo PROVES to them something is real. I was going to joke when I posted my findings and sarcastically talk about it being a “cloaker” but someone brought it up in a semi-serious tone. I just don’t get it. Someone even said “we wouldn’t know a Squatch if it was standing in front of our nose.” Well son I have seen them, and I know what they look like and what they don’t. And they are certainly are not green. I was a huge resident of many Social Network groups, and I always will maintain a presence on Facebook, Twitter, YouTube and such. But I have unjoined over 65 Bigfoot groups yesterday. Why? Because the discussion has fallen out of the scientific and factual realm and plays now to people’s fancies rather than fact. This is nothing personal, and nothing I say here is personal. 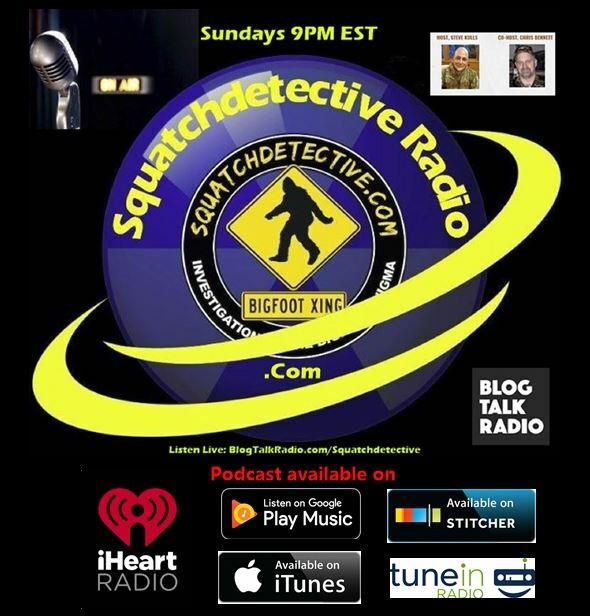 From now on if people I want me to analyze anything, it will be posted here and at Squatchdetective.com rather than in a Facebook Group other than a handful I have remained to be a part of. Or I can privately tell folks what I think. If I see evidence and facts disregarded on either side of the coin, I will disembark from those groups as well as my tolerance for fantasy and whim has fallen. I will not engage in useless dialogue with folks if they have no penchant for honoring evidence, fact and scientific law other than in a one on one format. When people disregard evidence, fact and at times common sense, it makes us ALL look bad. It makes us look desperate to prove something. And they would be right for making such an assertion. For those with me, stand for the facts and the truth in this mystery, as I will always try to be a guide on that journey. I will always tell the truth, and I will always let you know where I stand. My thirst for the facts and more importantly the truth has never been greater.